Boris Frumin wants to get to work. 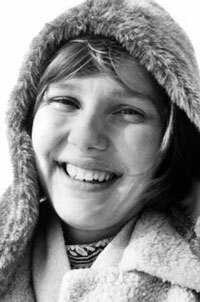 Born in Riga, Latvia, in 1947, Frumin became a key Soviet filmmaker during the 1970s, while still in his twenties. He directed three films – Diary of a School Principal (1975), Family Melodrama (1976), Errors of Youth (1978/1989) – the latter two of which he also wrote, before emigrating to the United States in 1978, around the time Errors of Youth was shelved. Shelving was a censorship process that often happened because a film challenged or criticized the official view, or, as seems the case with Errors of Youth, simply because it presented things in a more complicated light than was acceptable to the censors. Frumin’s assimilation to the U.S. was not easy, but through hard work and dedication he established himself as a teacher of film production in New York City, first teaching undergraduates at the New York Institute of Technology and now graduate students at New York University. I spoke with Frumin in late 2000. Errors of Youth, Black and White, and Viva Castro! are available on video by Facets Multimedia in the United States. Frumin was open to speaking about almost anything, but he repeatedly insisted that I get to the point, to be precise in my questions. From this one gets the sense that he is a man dedicated to getting things done, and who still feels he has a lot of work to do. Ray Privett: Tell me about your early films. Boris Frumin: I made three films in a row. The first film, Diary of a School Principal (1975) came after my time in film school and the army, through Lenfilm studio. It’s a day-by-day picture of school and home – everyday things and times with students, colleagues, and family. It also tried to present positive characters in Soviet life. RP: You went to the film school VGIK (the Russian State Institute of Cinematography)? BF: Yes, I was the youngest film director there. The second film was Family Melodrama (1976). It was what was called a ‘retro-film’, about Soviet life in the past, trying to say current things but dressed in different circumstances. It was about a boy split between two families. He lives with his mom, and he is visiting his father’s new family, trying to solve his parents’ differences. What was said about this movie was that it was not about happy characters. The Soviet stereotype was of happy characters. This film was trying to say that things are not always perfect. It was possible to say this by choosing characters not from contemporary life, but from ten, fifteen, or twenty years ago. RP: How was it received? BF: You have to understand, that there are two ways you can go – government/censorship or critics’ acceptance. With censorship, there were always problems. With critics, things were very good. The first movie was more successful with audiences, because it was released better than the second movie. When they do releases, they have four categories that affect how many theatres and what kind of exposure the film gets. If you get in the second category, you get a decent release. If you get in the third category, that is because they have problems with the movie. Diary was second category, and Family Melodrama was third category. But the critics were always good. You can double check this, if you have the opportunity. RP: After this came Errors of Youth (1978 / 1989). Why did you decide to set the film around the military? BF: Because it was something I knew, and because it was a difficult topic. I thought that it was important to do things realistically, which was difficult. The army didn’t like it because it indicated certain problems that were familiar to anyone who had been in the army. Also, Soviet officers were expected to be perfect, but in this film they were not. The general tone of how the army was presented was not how they wanted it to be, even if there was an effort to balance a critical treatment with some positive images. And also it was important that the main character was a young man who is comfortable in the army and has difficulty leaving it. The army was a place of order, and life was more complex. The intention was to show that the perfect image, in real life, has many problems. RP: The colors in the film are very striking. The opening scenes on the beach are very brilliant, while later on things are very subdued. Can you talk about what you were trying to achieve with these? BF: It’s difficult to remember exactly, but there were definitely intentions to say certain things. The south of Russia was loud. The world around the army was green. But then the north, around Leningrad, was blue and muted. They were definitely some careful decisions when you were in interiors and building sets, but it was not, in my sense, as strongly formulated in production design as it maybe should have been. There was some control, but I wouldn’t say more than that. RP: The film was then shelved, presumably because the officers weren’t presented as positively as censorship wanted. BF: It was more than that. Again, they said it was too realistic. They didn’t see a purpose in giving negative details left and right about Soviet life. It was an accumulation of these details, and then the character encounters a dead end. They didn’t see how this character would indicate any positive continuity. There were a number of additional factors. There was a struggle with Lenfilm, which was more liberal than any other studio and was the best and most interesting. So this was a way for censorship to say that they would not tolerate the production of this kind of film. Goskino had accepted the movie before the answer print. The mix was done, but we didn’t print it. We had the edited work print with a rough mix. And then censorship said a final no. It was a very long, difficult struggle, from the script stage to the end. It was a good lesson, but it was difficult. They said they would hire another director to re-edit the movie, to put narration on it, and do additional shooting. I left the studio, and emigrated. My editing crew said they would not collaborate. Eventually, Goskino said forget about it, and shelved the film. RP: It was taken off the shelf and restored in 1989. BF: Right. During Perestroika, they released from the shelves all the films that had been banned. Mine was last, because I was not in the Soviet Union anymore. It took them time to get to my movie; it was the last one. Again, this is my version. My crew who had stayed behind was very persistent in trying to get the movie presented to the special commission. And then I got a phone call from the studio asking me to come back to the Soviet Union to finish the film for release. I saw a movie I hadn’t seen for almost ten years. It was something left behind. We re-edited it, and I had the opportunity to restore the movie back to what was intended, though this had to be done without additional shooting, because our main actor was dead by this time. It was very strong and difficult for me. RP: Was the shelving directly related to your emigration? BF: The shelving happened, then a month later I applied for emigration, and four months after that I left the country. I did not emigrate because of what happened with the movie. It was the whole situation; this was just the last thing. I could still direct, and would send scripts back home. But eventually, I said, I’m not doing this anymore. RP: When you came to the U.S., did you work with film right away? BF: No. I didn’t speak English. And nobody needs you here if you are not a major director. Also, you need to understand what was going on, and what is still going on. I was trying to do anything. I was just one of the immigrants, and I tried different jobs. But I started to teach at a small college called New York Institute of Technology, and then at NYU, where I am today. First I taught undergraduates, and now I teach graduate students. RP: Where did Black and White (1991) come from? BF: I wanted to do a story about immigration, about a stranger coming to a different place. I also wanted to do a film about relations between blacks and whites as I understood them, not being an American myself. And that is where it came from. I decided to do a story about this Russian woman, in a love story involving two men, a white man and a black man. RP: The three main characters are very well drawn out. How did they evolve, and what was your work with the actors like? BF: The script was all written before. Yelena Shevchenko, a Russian actress, was proposed by the woman who had cast my previous movies. She was interesting, and I cast her when I went to Russia on a short trip. Here in New York, we worked with a small casting agency. But it was an open call, and both of the main actors, Gil Giles and Patrick Godfrey, came for auditions. Gil, who plays the superintendent, was cast right away. I was certain about him, because when you see a number of people, you notice difference. He had things about himself that seemed independent, and I think that when you have something independent about yourself, that is serious. The same was true about Patrick, who plays Gil’s boss, though he was different in different ways. With Patrick, initially I cast another actor, but we couldn’t pay him because we were so low budget. We actually asked Patrick to do this part a day before the shooting began. The dialogue was written, but English is not my native tongue, so I needed a touch of help here and there. It was kind of basic and limited; the relationships were all set up in the script, and we worked from that. A lot of it comes from what you collect in life. It’s mostly semi-professional actors, or professional actors who are just starting out. And you just try to deal with real people, and see what they can bring to the movie. BF: It was a low-budget movie. To invite a good American DP would have cost money that we didn’t have. It was also a co-production, with Russians participating on the crew, alongside NYU students gripping and gaffing, with American actors and one Russian actress. The DP is very good; today he is a top Russian DP. I knew him from VGIK, though I never worked with him before. He came to New York, we spoke, and he was impressed. Then you just do your work. I didn’t see dailies, because we were sending dailies from New York to Leningrad. The lab there at this point was not functioning, because they had problems. It was a very difficult time in the Russian industry. So the first time I saw dailies was when I went to Russia before starting to edit. I was completely blind about what I was doing. But you just go, and do your work. We had a very small crew – just him, his focus puller, his top professional assistant, and a few NYU guys. It was very low budget. But he is very good. It is not as polished as a good American product would be, but under these circumstances, we brought his sense of New York and my sense of New York, trying to avoid postcard images. And I think we were successful. RP: You do very well in avoiding postcard shots. But one thing you do throughout is add in shots of windows, glass cases, mirrors, and so forth. Why did you decide to do this? BF: In production design, there is always a tension for framing and double framing. Windows and mirrors add extensions to the frames, and they are put there on purpose, trying to deal with the frame dynamically. It was an effort to bring texture out in the image, and to the world she is facing. Sometimes it is forceful, and at that point it was interesting for me to indicate certain things with the framing and editing. It’s a little bit rough. And as you know, Black and White doesn’t have a music score. There was something of an intention to do this as a sort of rough movie. It was actually badly reviewed by Variety, after showing in Sundance. It was more successful in European festivals and reviews. RP: In other films, you have collaborated with the same musician several times, Viktor Lebedev. BF: Yes, he is a composer I have worked with and will continue to work with. I was introduced to him before making my first movie. He comes from good classical training, with good piano, and so forth. And he has a certain melodic sense that is close to mine. RP: Where did Viva Castro! (1993) come from? BF: When I left the Soviet Union, frankly I didn’t think that I would go back. I also felt that I had never succeeded in making a movie about Russian life, or Soviet life, as I really knew it. There was no opportunity. Censorship was very strong, and the way we thought was very different from how censorship thought. So when this Perestroika thing happened, I proposed a script that I felt was close to what Soviet life was like. 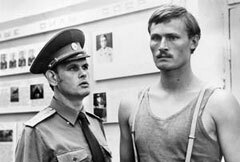 It became an opportunity to make a Soviet film after the Soviet Union. This is what Viva Castro! is. The ’60s may have been more optimistic than what you see on the screen. But there is a certain dynamics in when you make movies. It’s a contemporary sense of the ’60s, not the ’60s itself. It also has a certain sentiment toward Russian life, which is very important and essential. It is about people and relationships, and about breaking certain stereotypes, which is very important when you make a movie. RP: Which stereotypes were you trying to break in this film? BF: A person who is supposed to escape comes home. A man who is supposed to arrest someone is helping them. A teacher is falling in love, or at least having a relationship, with a young student of hers. It was trying to show that life is more than one-dimensional. This is important to me. It’s set around the time I grew up. There are some elements from experiences of mine, and of things I knew. For me, it is important to use life, to develop it into something else. It’s not about making a documentary, but it’s about your experience. Being specific, but developing, improvising, and taking it to a new dramatic level. RP: The women in the film are particularly striking, both in their performances and in how beautiful they are. BF: Again, it was a low-budget movie, with mostly non-professional actors, and very difficult production circumstances. Acting starts from casting, and you have to make certain choices. For me, you need an understanding of what kind of people would bring lyricism, sincerity, and ambiguity. In the script you create circumstances that will challenge them. And then you put people in those circumstances and try to make something you can put in your movie. What else? Nothing else. The director must see people, then push them into experiences that are revealing. The rest is for the critics. RP: There’s a strange and wonderful moment when Sveta, Anastasiya Vesheva, looks directly into the camera, right after she kisses Kolya. BF: She is a remarkable young woman. She was in one of the best schools in Leningrad, and was a brilliant student of mathematics. You got the sense of an original person – this combination of certain internal mathematics, and certain qualities of an awkward and beautiful young woman. This was interesting from the beginning. On the first day of shooting, she was holding a bottle of alcohol, with a cork in her mouth. I was sitting under the camera, giving directions. She was able to incorporate my directions, not only for feeling, but giving an additional layer of subtlety, in a very interesting way. At this moment I understood I was dealing with a very special person. And from then on, we just kept pushing it, and she always did something more than usual. For the looking into the camera, we decided that at certain points this would be okay. It would be like them shedding their exteriors. First the camera is very close to her after the kiss. And we kept rolling, and she was reacting to her experience directly to the camera. Then I asked the DP how it was, and he said it was good, and we put it in the movie. RP: In one scene we learn that Sveta’s and Kolya’s fathers met in a camp for children of enemies of the people. Would it have been possible to make this kind of reference at any point before the end of the Soviet Union? RP: It would depend on who the censor was. BF: Yeah. Today, when people watch Soviet films that were shelved, they ask, what was wrong? When you take the movie out of context, it’s difficult to understand. But these censors, who had their reasons, did not want any bad experiences to disturb the audience. But when you do your movie, you try to be closer to the audience. They wanted to set a certain distance. It was a very strange experience. At certain points this approach was very helpful, encouraging people to help win the War. But then it became counter-productive, and artificial. It’s a long conversation. But you’re right that this kind of reference would generally not be possible. I’m very sorry that it is a verbal reference, because, internally, this experience of people in the Soviet Union was much more complex. The same people who would destroy would sometimes help, and those who would help would betray others. It’s a whole human mess. RP: Do you think you will return to live and make films in Russia, or Latvia, again? BF: To live? I don’t know. It’s life. I have my family, my things. But I will definitely make my next movie in Russia.